Would my child benefit from a speech-generating device? How do I get my child a speech-generating device? There is a lot of terminology in education and the field of speech therapy that refers to speech-generating devices. 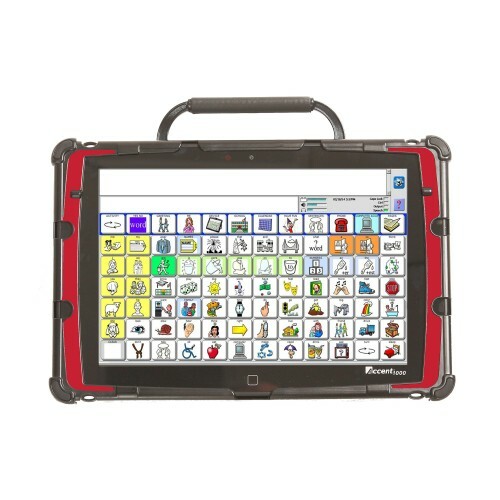 You may have heard this term (speech-generating device or SGD for short), or a host of other terms including assistive technology, communication device, augmentative communication, AAC, and the list goes on. Technology can range from low-tech systems such as a picture communication board to which a child points to communicate to a high-tech, electronic system built into a device similar to an iPad. In my experience “speech-generating devices” typically refer to the mid- to high- tech devices that actually output speech for the user. 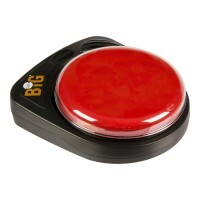 Switches – These are various sizes buttons that can be recorded to have a single word or entire message spoken when pressed. Some switches can even work to activate toys! Voice output communication boards like the GoTalk – These are considered mid-tech devices. Their screens are “static,” meaning the symbols available to the child don’t change automatically. The child, or caregiver, would have to change the display manually. 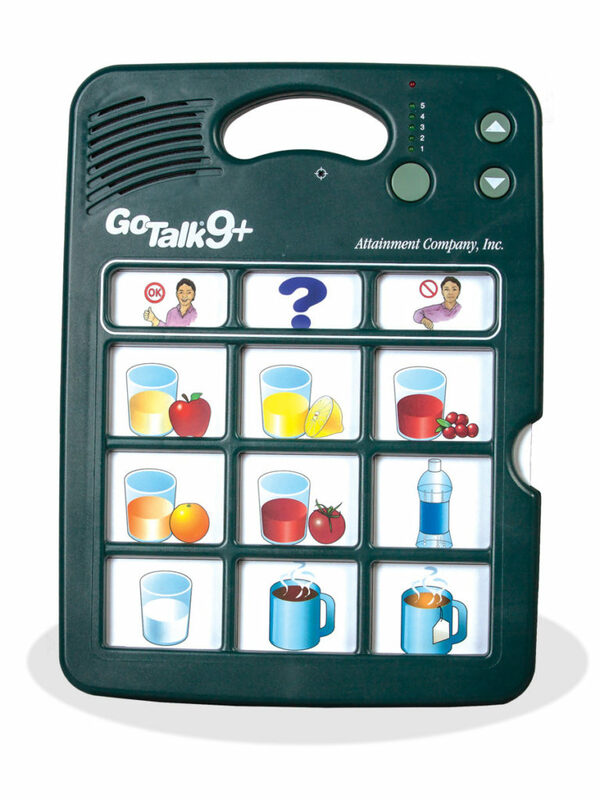 On a GoTalk for example, the child can have a set-up for food choices. When they push the icon for “banana,” the GoTalk will speak “Banana.” They can manually switch out the display to then offer toy choices, when appropriate. 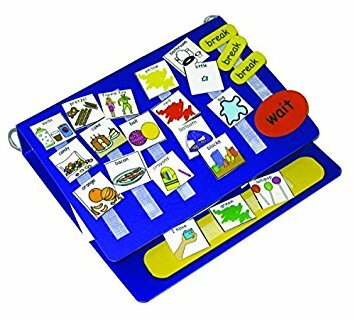 Picture Exchange Communication System (PECS) – PECS is a highly researched low-tech communication system that consists of small picture cards that children are taught to exchange for desired items. This list is by no means exhaustive. There are many accommodations that can be made to the aforementioned devices, such as modifications for limited mobility, and dozens of other options available to children that need them. 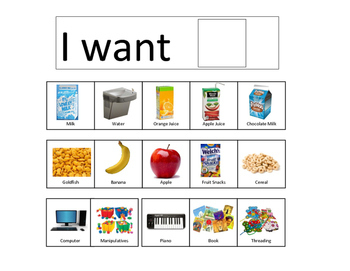 Speech-generating devices are often recommended for nonverbal, or minimally verbal, children. Children that are not imitating speech sounds or words and/or not using words to communicate may benefit from a speech-generating device. Children that are highly echolalic, or repeat what they have heard, may also benefit from a speech device, or alternative communication system. Children with other disabilities that affect the intelligibility of their speech, or how much they can be understood, such as childhood apraxia of speech or Down’s syndrome, may also be a great fit for a speech device. Many insurance plans will cover part or all of the funding of a dedicated speech device depending upon your child’s specific needs. Seek an evaluation from a speech-language pathologist (SLP) that specializes or has knowledge in speech-generating devices. When you call their office, ask about their experience with AAC (Augmentative/Alternative communication). You will also very likely need a prescription and/or letter of medical necessity from your child’s pediatrician; however, the SLP should guide you through the paperwork process. If the SLP has a variety of devices and systems at her office, she will often trial them with your child during the evaluation. If she does not, she may have a representative from a assistive tech distribution company present at the evaluation. Once an evaluation is completed, some insurance companies will require trials with the recommended device prior to fully funding it. In these cases, families can sometimes acquire loaner devices from the manufacturing companies. Once trials are completed, the speech-language pathologist can complete her evaluation report and submit it with any other required documentation from your child’s pediatrician to your insurance company. Another route to consider is through your child’s school district. Most public school systems have an assistive technology (AT) department that works in conjunction with their speech-language pathology services. If you think your child would benefit from a device, ask to speak with the AT provider at your child’s school.